WiiColEm par Raz0red est un émulateur ColecoVision. 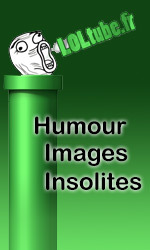 Plus exactement, c'est un portage de Colem version 2.5.2 par Marat Fayzullin. - Ability to specify whether to use cartridge-specific overlays (global and per-cartridge). o Ability to adjust screen size to any size/dimensions via the "Screen Size" option under "Display". If this is entered after loading a cartridge, the last frame will be displayed to assist in sizing. - Firing in Aquattack is now supported via the right analog stick (GameCube, Classic/Pro controllers).